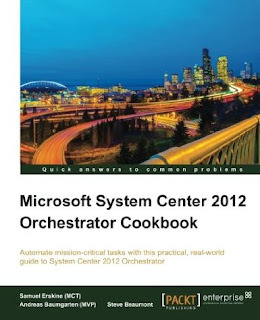 New System Center 2012 - Orchestrator Book Available Now! This blog has been real quiet of late due to me putting the finishing touches to our upcoming "Mastering Windows Server 2012 R2" book, but I wanted to do up a quick post here to highlight another book which was authored by some really good friends of mine in the System Center community. "Microsoft System Center Orchestrator 2012 simplifies the process of automating systems administration tasks. 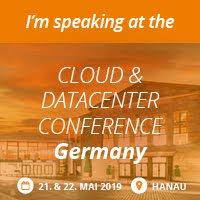 Originally a third-party product named Opalis, which Microsoft acquired in 2009, Orchestrator provides a simplified way of building complex automation. System Center Orchestrator is a complete solution that goes beyond basic automation. "Microsoft System Center 2012 Orchestrator Cookbook" will teach you how to plan, create and manage powerful runbooks to help you automate mission-critical and routine administration tasks. In this practical Cookbook you will learn how to master System Center 2012 by creating runbooks to control and automate every feature possible. You will start by learning how to efficiently install and secure System Center Orchestrator." I've just purchased a copy and you can get your own copy of the book today in 'dead-tree' format from here or in electronic format from here.